This week the Saker joins me for our quarterly review of the geopolitical transition underway. We start with pension fund reform – a political hot potato in Russia as it is in the United States. Then we turn to the latest events in the Ukraine, the cancellation of the INF Treaty and the politics of nuclear weapons and missiles. Next we discuss the Middle East and whatever is going on in Venezuela. Finally, we turn to the big picture – the unraveling of the Bretton Woods system and the accelerating signs of an emerging multipolar world. 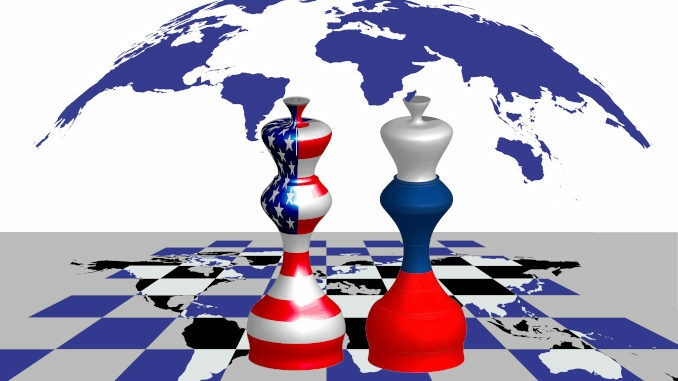 We debate what is happening in Europe and whether the Neocons will succeed in destroying themselves in their process of unraveling the American Empire. Although our topics are not always joyous, what a pleasure it is to map out our world with the Saker and debate the most important geopoitical questions of the day. His brilliant insights abound, wrapped with a concern for humanity that is always nourishing and inspiring. If you have not accessed the Saker’s books or website, The Vineyard of the Saker, you can do so here. Sign up to support his efforts. The Saker makes an enormous difference. In Let’s Go to the Movies! I review the new film Colette a marvelous movie about the French author. It’s a reminder that politicians who say politically correct things, such as “there is no one French culture” – those politicians come and go, but French culture endures.